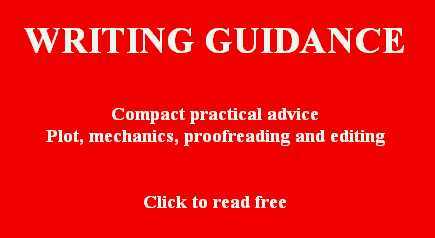 PRACTICAL WRITING MECHANICS material on website including full text novels (fantasy, SF and military SF), short stories (horror, fantasy and SF), writing advice, autobiographical material and blog entries on eg Islam. Site also includes full text of medical memoir CANCER PATIENT. This website by professional author Hugh Cook, aka Hugh Walter Gilbert Cook, author of the CHRONICLES OF AN AGE OF DARKNESS etc. Site also includes poetry and flash fiction. This site features PRACTICAL WRITING MECHANICS material about the art of writing: plotting, getting characters to act, proofreading and editing. Concise how-to-write advice by an expert. Read free online. Advice on elements of writing, including plot, some mechanical issues and the business of proofreading and editing. A compact guide to the art of writing fiction. This section on PRACTICAL WRITING MECHANICS is incorporated in the literary miscellany THIS IS A PICTURE OF YOUR GOD: A HUGH COOK READER. 1. Ten minutes a day (compulsory minimum). A lot of things work this way: learning to play the trumpet, learning Japanese, and so forth. Head down and bum up, that's the key point. If I'm reluctant to get moving and feel lethargic but absolutely have to push on, then I make a point of starting every hour on the hour. 10 a.m., 11 a.m, 12 noon, 1 p.m. Even if you can only force yourself to do five minutes in that hour, five minutes is five more than zero. 2. Log time worked, e.g. "Started work today at 1pm, finished at 1.05pm, cumulative time worked today 15 minutes, cumulative time worked this week one hour." Right now, the measure I am using is time. 3. Build semantic fields (beach, sand, ice cream, charabanc, sunburn, suntan lotion, windsurfer, sea, yacht, ferry, motorboat, navy, flag, binoculars). This can be done daily as a warm-up exercise. Question: What is a charabanc? Answer: I have no idea. This stuff has been sitting in my files for years. Note: you don't have to build semantic fields, but if nothing else is working then it may help. A lot of writers (including me) gather materials before starting. Make sure these are your own materials, not stuff you ripped off from other people! 4. There is nothing wrong with a simple, direct declarative statement, e.g. "He was sad." "She was lonely." "Jesus wept." Maybe it's not Shakespeare. But a lot of Shakespeare is not Shakespeare either, not the stuff of world-conquering literature. Raising the bar too high is one way to fail. 4a. The last sentence you wrote is good enough. At a pinch. We could think of (4) and (4a) as a doctrine of imperfection. I met an Israeli guy who was a native speaker of Hebrew and he preferred to write his stories in English rather than Hebrew. Why? Because he had far greater stylistic mastery in Hebrew than he had in English. His English was naturally simpler, which meant that when he was writing English he had fewer stylistic options, so it was natural for him to focus on the story, on the narrative line, rather than indulge himself in tweaking his style. If you do have a reasonable command of a second language which you can use well but not quite at native speaker level then you might care to make the experiment of writing in that second language. 5. Narrative text is indicative rather than exhaustive, e.g. "The cubic white buildings of the Greek islands" rather than a complete Baedeker. 6. A good narrative begins with a promise, delivers on the promise, then goes on to add something more. The promise can be implicit: "At the beginning, the household seemed utterly normal; there was no outward hint of the undercurrents." Or the promise can be explicit, e.g. "Sing, goddess, of the wrath of Achilles, the son of Peleus"; "On the day of his assassination, the President woke as usual at 6am." A mystery, a problem, a desire, a dead body with a knife sticking out of the back - these are all forms of narrative promise. 7. Plot is the turbulence which results from two or more forces working to opposite purposes - the outgoing tide running against the wind. George Bush and Bill Clinton both want to be President; only one can win; therefore they are working to directly opposite purposes. Domestically, the inexhaustible plot resource is the eternal triangle involving Jane and John and Jim, or John and Jane and Joan, the triangle in which Jane and Joan both want John or Jane and John both want Jim, and only one can win. The crucifixion, Jesus alone in the garden, deserted by his disciples, despairing; KING LEAR, Lear on the blasted heath with his fool; MACBETH, Macbeth confronts the madness of his wife. THE WIND IN THE WILLOWS, by Kenneth Graham: Toad is alone in the dungeon, locked up, an imprisoned criminal, far removed from his friends or all possibility of salvation. Toad laments, and despairs. A plot gains its full effect from the depth to which it can descend into human despair. 9. Maximal emotional shock is achieved by maximal perversion of expectations. A small perversion of expectations: You are walking down the stairs in the dark, and you put down your foot, expecting the next stair, and the next stair is not there. The perversion of expectations, the unexpected betrayal, it at the heart of the shock of adultery, desertion. (Sample: the Indian Mutiny, 1857-59). In MACBETH, the antihero Macbeth leans on his wife, who is strong, ruthless, resolute. Then Macbeth's wife goes mad: his expectations of her character have been totally perverted. Maximal emotional shock, maximal perversion of expectations, can be achieved when a character sets out to achieve a desired result, and instead achieves the opposite. Anciently, a king was counseled by the oracle that his planned invasion of a neighboring power would lead to "the destruction of a great nation" - he set out to destroy the great neighboring nation, but it was his own nation which was brought down. 10. We begin with a promise, we end with a catastrophe involving the maximal perversion of expectations. The middle part of a book (play, story) can be looked upon as setting up the conditions for that maximal perversion of expectations. (b) indications of the possibility of success. Encouraged by (b) they increase their effort to overcome (a); "There's light at the end of the tunnel, so let's pull together and keep going." "Bail harder, boys, bail harder - I can see land!" "Yes, it's true, his condition has taken a turn for the worse, but the doctor has told us about this new drug from overseas, they say it's got very good results elsewhere." (v) and then disaster strikes. yet totally unforseen by the people who are involved in it. Note: as the viewpoint character's attention is misdirected, so too will the reader's attention be misdirected. Plot works best when there is a totally unexpected perversion of expectations which is seen, in retrospect, as being totally inevitable. In MACBETH, Macbeth by his wanton killing is rousing increasing countervailing opposition which makes it inevitable that he will fall. Macbeth's attention, however, has been misdirected by a prophecy which says he will not fall unless the woods come to his castle. He is paying attention to the prophecy rather than to the politics. And then, of course, the woods do march on the castle, and Macbeth ends up facing his enemy in combat. Macbeth is not fussed, because another prophecy has assured him that he will not be killed by any man born of woman. However, his opponent turns out to have been delivered into the world by caesarian section rather than natural childbirth. 12. A narrative text should always be built around a minimum of four characters, e.g. the Rat, the Toad, the Mole and the Badger. Because four is easier than one. Writing a story with four characters is ten times easier to write than a story with just one. The hardest book to write is ROBINSON CRUSOE. (Plot: man gets shipwrecked, finds himself alone on an uninhabited island and spends his time surviving.) Why is ROBINSON CRUSOE so hard to write? Because Crusoe exists in a depleted environment, a desert island. If you don't like the notion of a "have four characters" rule then you can go and be bloody minded and spend the next six months explaining why the ideal number of characters is either three and a half or seven and two eighths. The key point I would make is that one looks easy but is the most difficult story to write. Four may sound arbitrary but is not an unreasonable number. The cop, the criminal, the lawyer, the alibi witness. The girlfriend, the boyfriend, the mother, the former girlfriend/boyfriend. The teacher, the misbehaving student, the parent, the school principal. The mother who may or may not be going to adopt out her child, the child, the prospective adoptive parents. The thief, the fence, the guy who got burglarize and the private detective he employs to get his stuff back. The man, the woman who is not his wife, the wife, the private eye who is taking the photographs. The blackmailer, the person being blackmailed, the person falsely under suspicion of blackmail, and the investigator trying to sort out the mess. The boss, the employee accused of sexual harassment, the accuser and the union representative. Jack of diamonds, queen of hearts, ace of spades and the king of clubs  these guys are up to something. Narrative is easier to construct in an enriched environment. If it's your rule that there should be three and a half characters, and it works for you, fine. I recommend, as a default, four at the core. 13. Characters should be construed in terms of what they are likely to do. The Badger is conservative, hence will tend to work to restore the equilibrium of a conservative, normative society. The Toad is reckless, hence will tend to subvert conservative norms. The plot of THE WIND IN THE WILLOWS is the logical outcome of the characters of its protagonists. 14. There should be a maximum of seven major characters. (There are only seven days in the week because seven is the largest number with which the human mind can deal; conversations involving more than seven people are impossible, and problems involving more than seven human variables are incapable of solution). 15. Not John and Jim and Joan and Jane but Anthony, Bill, Hillary and Tabitha. (Understand? If not, then think about it). (i) "Let's go to Paris," he said. / Paris was cold and wet, gray beneath a winter sky. Over a coffee in at the Pompidou Center, he told her the poison had already been administered and that she would need the antidote inside of seventy-two hours. If she was going to have any hope at all of survival. (ii) "I'll see you tomorrow, then," she said. / The next day was hot and dry. There was a near-catastrophe when Billy tried to throw petrol on the barbecue, but Hillary caught him in time. (iii) "So how's married life, then?" said Barbara. "I'm not sure," said Hillary. / Two years later, she was even less sure. They were sitting around a camp fire by the shores of a river in Tanzania, and Bill was telling (for the fiftieth time) the story of the hippopotamus in Natal which had stormed into the sea, grabbed hold of a 300-pound shark then stomped it to death. He was quite drunk; and, once again, he had given up shaving, though he knew how it vexed her. (iv) "Would you like one slice of bread or two?" "One and a half, thank you," he said. / Dad duly served up one and a half slices of bread, buttered and jammed. (v) "He's dying," she said. / At the funeral, there were no flowers, by request. It's perfectly legitimate just to cut, as in a movie. There is no point in having people going in and out of doors, riding round in taxis, getting on planes, checking in at the airport and all the rest of it. Simply make the transition. Unless you have a reason for writing a checking in at the airport scene. 17. A first draft of a novel of five hundred pages need only be half a page long. A first draft of a poised and polished novel can be as bad as you like, complete with gaps to represent the difficult bits. The greatest error is to compare the imperfect reality with the theoretical perfection. We live amidst error, but at least we live; perfection is a schoolmaster's conceit, a pedagogical constraint we should behind as soon as we leave school. "The man who never made a mistake never made anything." Someone somewhere says that "The thing which dooms the good idea is the better idea."